The One Belt, One Road (OBOR) program aspires to create partnerships between China and countries around the globe to build railways, ports, and roads to better connect China to Western Europe and Africa. A key policy of OBOR is for China to lend large amounts of money to developing countries — particularly in Africa, Oceania, and Central Asia — at high interest rates and trap the countries into debts they cannot pay, a tactic former Secretary of State Rex Tillerson repeatedly called “predatory” on the world stage. The plan has already benefitted China in Sri Lanka, where the Chinese now own a port they built as part of OBOR because Sri Lanka could not make its loan payments, and threatens to expand Chinese influences to places like Malaysia, Pakistan, and Kenya. The Global Times’ defense comes as Pacific island nations protest the high interest rates on their loans, demanding China forgive them, and in anticipation of Beijing’s Forum on China-Africa Cooperation, scheduled for September. The propaganda piece accuses “some developing countries” of holding “unrealistic expectations of China,” which it describes as a fellow developing country. “With a large poverty-stricken population, a wide development gap between the eastern, central and western regions, as well as a disparity in individual income, China itself still needs substantial financial support for poverty reduction, health care, education, environment protection and infrastructure improvement,” the article claims. Pacific island nations like Tonga appear to disagree. Tongan Prime Minister Akilisi Pohiva told Australia’s ABC News this week that the island nation’s debt crisis, propelled by China, was “very serious” and that Tonga aspired to unite neighboring countries in the south Pacific at the Pacific Islands Forum (PIF) to pressure China to erase their debts. China regularly opposes the use of multilateral talks to address issues where it is bullying smaller countries with its military and economic might, using this same tactic to divide the nation’s of the South China Sea, where China has illegally colonized territory belonging to at least five countries. In a matter of hours, ABC News noted, Tonga succumbed to pressure and canceled its plan for a multilateral addressing of the issue. 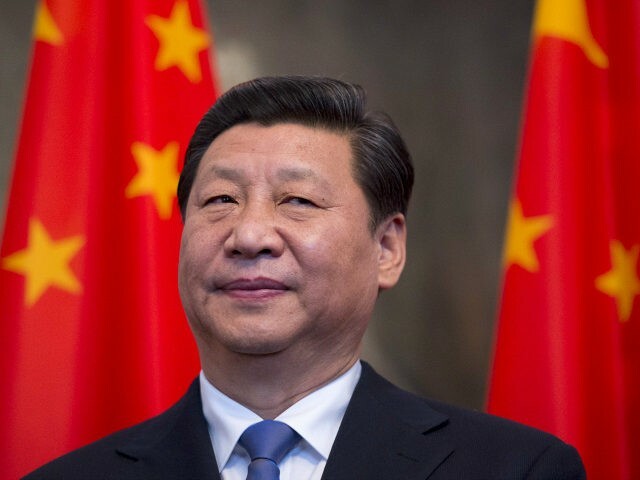 The negative attention on Chinese loans could hinder Beijing’s aspirations in China, however, which Communist Party leader Xi Jinping is expected to promote at next month’s Forum on China-Africa Cooperation. “The future of the China-Africa cooperation will go in tandem with the Belt and Road initiative with deeper integration of policy instruments including trade, investment and aid,” Chinese expert Song Wei told the Global Times in a piece promoting the summit. Africa also appears to be losing its taste for Chinese money. Kenya, in particular, is struggling to make sense of its agreement to let China build a major railway connecting Kenyan cities to other regional capitals. China promised the plan would bring more local jobs but has instead resulted in the creation of an “apartheid” system in which Chinese workers immigrating to Kenya receive the lucrative jobs and refuse to even sit near Kenyan nationals for their lunch break. The hundreds of Chinese workers taking advantage of the project have also overwhelmed the Kenyan immigration system, in many instances using tourist visas to come work in the country illegally.